Binance Trading Competition Bounty - with BountiesAlert.com! Biggest USA exchanges + $10 sign up bonus! Binance Trading Competition Bounty starts at 22nd February, 2019 and lasts until 1st March, 2019. 200 Million BTT Tokens ( ~200,000 USD) in total are allocated to people who deposit and trade BTT on Binance. Participate in the Bounty campaigns to earn tokens. BitTorrent is a pioneering distributed communication protocol invented by Bram Cohen in 2001. It is a peer-to-peer protocol which uses economic incentives to facilitate the delivery of large and highly demanded files around the internet, eliminating the need for a trusted central server. It is an open protocol that has been independently implemented dozens of times and included in software that has been downloaded and installed billions of times in the past 16 years. Would you like to receive free Bounty Alerts? Join our BountiesAlert Telegram! How to join the Binance Trading Competition Bounty? Users with net deposits (deposits minus withdrawals) of over 1.5 million BTT on Binance will split a pool of 50 miliion BTT. Top 100 BTT traders on Binance will share 100 million BTT, proportionate to their own BTT trading volume against the total trading volume of the top 100 traders during the competition period(trading volume = buying + selling volume, excluding self-trading volume). Traders who trade at least 5 million BTT on Binance will have chance to be drawn to get 1 million BTT each. More information about the Binance Trading Competition Bounty here. If you have interest in Binance Trading Competition Bounty, join the BitTorrent Competition Bounty on Huobi too! BitTorrent Airdrop for Tron (TRX) holders now live. 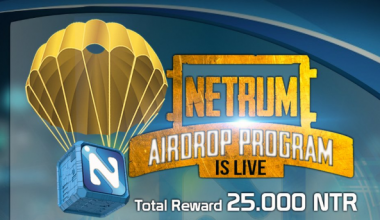 Claim the BitTorrent Airdrop now! Free BTC worth up to ~$1000! Earn free 1,000 PTON tokens - listed on CMC!